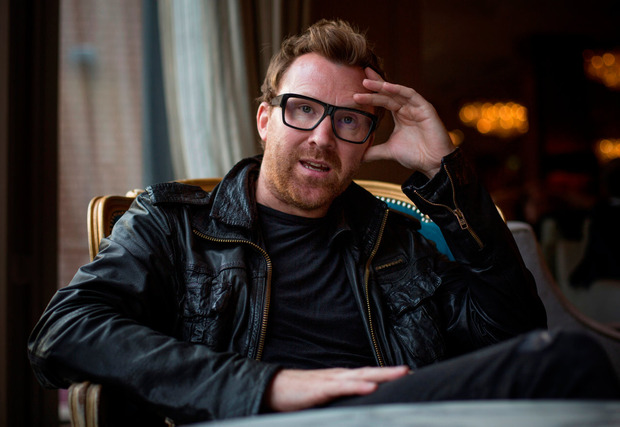 Jason Byrne said in 2012 he was at his happiest when he worked in an electrical warehouse in Dublin. Is it more difficult when there is an expectation on him? But thousands upon thousands of people come to your shows year in, year out, I say. Does that make him worry less? He worries that they are coming to see him be crap? On this subject, Jason recently spoke to Nicholas Parsons, “who is 95 years of age and still hosts chat shows and radio shows”. Jason said to him, ‘Tell me I don’t have to work until I’m 95’. Nicholas replied, ‘My dear boy, you can stop if you want but if I stopped, I’d be dead in two weeks. I’d just let go and I’d die. It keeps me alive now’. What the book became is based, partly, on a tale inspired by Jason as a young teenager going to see a circus in Ballinteer. Jason and his pals went around the back of the tent after the show where all the animals were in cages, whereupon a man appeared just as Jason was about to put his hand in the lion’s cage. The man told the future global superstar of Irish comedy not to put his hand in the lion’s cage or “he’ll rip your f**king hand off”. Jason responded that he was “only looking”. The man then showed Jason and his gang to another tent where a fully-grown female elephant was inside with its poor foot tied to a stake. Jason thought about freeing the poor elephant, but didn’t in the end. In one draft of the book, Onion O’Brien frees an elephant out of the circus and hides it in the housing estate. As Jason was working through the draft of this idea, he told his friend in Belfast, who works for CBBC and he told an ashen-faced Jason, that they had just made a movie about a woman who took home a baby elephant in World War II to her garden. “That’s my story,” Jason realised. “So the elephant is now an orangutan. She has a baby and the whole story is trying to get the baby and the mother orangutan away from the circus owner. It is all the fun of a baby orangutan in their house,” Jason says, and that there are future books. How many? 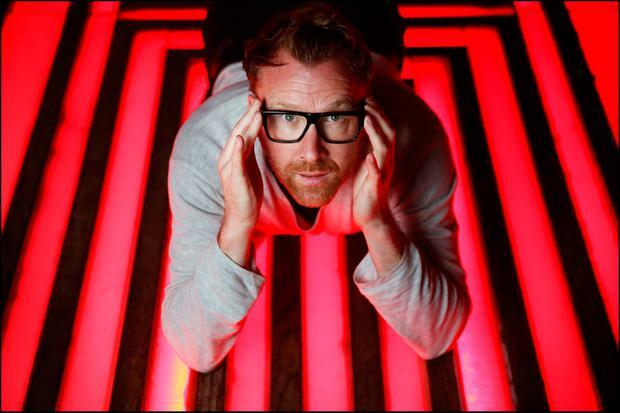 What is it like to be inside Jason Byrne’s head? “Oh — it’s awful,” he replies. Wouldn’t his two sons prefer to have their dad home and not away on tour all the time around the world? I ask Jason what he worries about? “Everything. I am a huge fan of Alan Watts. I’d love to have met him, just for a second,” Jason says of the late English philosopher. “Watts is brilliant. When I was first put on to him, I didn’t want to start listening to being told what to do, old school almost. Like my dad. If I told my dad I was reading philosophy he’d go, ‘Ah, for f**k’s sake!’ So I was a bit like that at first. My dad’s philosophy is, ‘Don’t be worrying. Why are you wasting your time worrying?’ That’s why my dad’s brain isn’t cooked like mine. With the last recession, he was like, ‘This is probably my fourth recession. And I didn’t worry then and I’m not going to worry now’. Where does that come from? Not his father, clearly. Is his mother a worrier? Maybe she’s worried that he’s worrying all the time? I ask Jason, half in jest, has he been to a shrink for his worrying. Is it diagnosable? Has he had to straighten his brain out because of recent events? How did Jason cope with that? “We just deal with it, with each other. The way I mainly dealt with it [the break-up] was, yeah, you go into therapy and maybe they’ll help you. You have to do that. You can’t deal with it on your own. Because the Irish are brilliant at burying stuff. So you can’t do that. Did the marriage break-up increase his sense of being a worrier? “Funnily enough, no,” he says. “You know, because I am such a heightened worrier that is just another worry. Do you know what I mean? I didn’t go, ‘What the f**k! My life is over’. I went: ‘Here we go. Here is another thing I have to deal with now’. And because I am used to high stress levels... it’s hard to explain it. 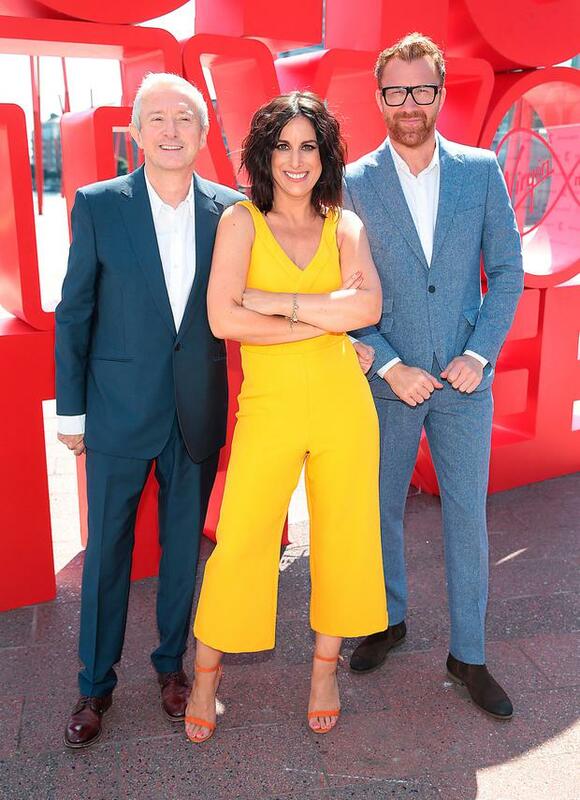 I say that when I saw him help launch the new Virgin Media Television brand onstage at the Bord Gais Energy Theatre in June, he seemed so full of the joys, so happy. You’d never have known what he was going through. “This is the thing,” Jason says. “With our business, there is a high demand for you to stay happy and focused. That can snap your brain, you see. That is very dangerous. “So,” he goes on, “you either sit at home and look into the end of a bottle, or go off on loads of drugs, or whatever the f**k you do — or you deal with it; you need loads of help from other people, to help you through it. He says what was also key to his healing process was breathing and meditation. “I have a trainer who specialises in breathing exercises and then we exercise and then we breathe at the end. It is all linked to helping your brain, all this s**t that I researched into, especially when this happened. Because I didn’t want to go to a doctor and they say: ‘Well — you need anti-depressants’. Because, for me, I was never going to do that. I looked up side effects of them,” Jason says. “And look, there are people who have to take them that they are so bad with depression that they can’t seem to get over that bit. But for me it was Wim Hof, an amazing Dutch dude. “He is the called The Ice Man, that’s his nickname. He was in a squat in Amsterdam and he would cut a hole in the ice in a lake and get under the water with no oxygen. He swims under the ice and he has perfected breathing. “He has a breathing technique, which is f**king fantastic for your brain. It is amazing. It is all about getting loads of oxygen into your body — loads and loads and loads and loads of oxygen — and eventually you just get high on it, and you eventually meditate and you can stop breathing. So that’s what has helped me through it,” he says referring to the end of his marriage. Jason smiles, his technique for dealing with modern life is clearly working. ‘The Adventures of Onion O’Brien: The Great Ape Escape’ is published by Gill Books, priced €16.99.